I'm a fan of Haskell. But I'm not a zealot. I'll be the first to tell you that some of the stuff down below works better in C++. But C++ has syntax uglier than a mandrill's rear end so I'll sacrifice functionality for readability. This is literate Haskell by the way. Copy and paste this whole entry into a .lhs file and run it with hugs -98 or ghci -fglasgow-exts. Anyway, today's theme is about how writing your code generically allows you to combine classes together in unanticipated ways to give you useful stuff - more or less for free. We can start putting our words into practice. Use the notation A(n) to mean the n by n matrices with entries in A. Then A(n)=R(n)⊗A. So the type constructor Matrix is the functor _(2). Another theorem is that R(m)⊗R(n)=R(mn). This means that Matrix (Matrix R) gives 4 by 4 matrices. Neat eh? We're already getting some classes for free. But we can get bigger stuff for free. I'm also a fan of geometric algebra. But I'm not a zealot. Geometric algebra can do a lot of neat stuff but I'm not one of those people campaigning to get everyone to throw out their old vectors and tensors to replace them with geometric algebra. That's it. We've built Cliff(n) and Cliff'(n) out of a bunch of simple classes that you might already have had lying around. Geometric algebra for free! It almost seems sad to see a beautiful classification theorem demystified in such a simple way. Still, you don't see pairs of mutually recursive towers of types like this every day. i is the function that embeds our base field, the reals. And e i a is intended to be aei. >     e _ _ = error ""
If fulltest evaluates to True then we know that for Cliff9 and Cliff9' we have created Haskell objects that satisfy the defining properties for ei. One last thing, let's consider the complexity of this code. The naive algorithm multiplies two elements of Cliff(n) in time O(22n). 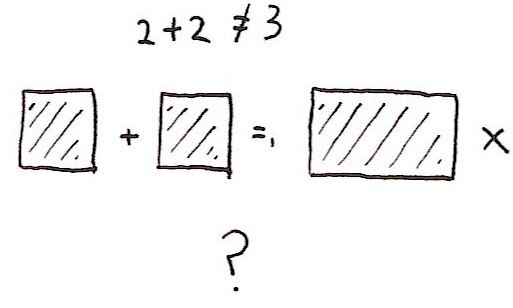 It's an easy exercise to see that the multiplication time is O(27n/4). Not bad for something that was free. We can acualy do quite a bit better with some small changes - for example by using Strassen-like tricks for all but the Split multiplications. But if you really want to do this stuff properly check out this paper which I haven't yet read properly. I'd also like to add that Cliff(n+8)=R(16)⊗Cliff(n), so we have a kind of repeat with period 8. This is known as Bott periodicity and it lies at the heart of many of the most beautiful things in mathematics including some fascinating properties of the number 8. On my shelf I have the book "Basic Topology" by Armstrong. After you've fought your way through 173 pages you eventually get to the section on simplicial topology and you can start playing with one of the basic tools of modern topology: homology groups. But you don't want to go through all that hassle. If you can read Haskell code then you can get there in 20 lines. But don't get too excited - this isn't meant to be an introduction to algebraic topology. Instead it's a demonstration of how incredibly expressive Haskell is. Before starting on this project I expected it to take a couple of weeks of early morning hacking and many hundreds of lines of code. It actually took a couple of hours. So the goal is this: use the standard chain complex from simplicial homology to compute the Betti numbers. Adding one row to another. lookup k  = fail ""
That's it! No hundred thousand line algebra library, or polygonal mesh geometry library. Just the standard Haskell List library. At this point I suggest looking at something like these notes on simplicial complexes. My d function corresponds to ∂ defined at the bottom of page 1. (Note I don't have anything corresponding to F-1. This is always the set containing the empty set so the code is hard coded to work as if it were there.) If you play with the dmatrix routine you'll see that it gives the matrices on page 3 (transposed). More efficiency. The vectors over the simplices are stored incredibly inefficiently. Compute homology groups over Z, not Q. I just use dimension counting to compute the dimensions of the homology groups over a Q. I really ought to actually compute the kernels of these matrices and then find representatives of the homology groups. I also need to write code to manipulate Abelian groups rather than vector spaces. To my shame, I don't know what the algorithms to use for the latter are. Compute homology groups associated to a poset. (The barycentric subdivision code kinda does this already.) Actually, this is where I started from originally. alpheccar asked if there was a connection between certain types of Hopf algebra and the Euler characteristic. I think the answer is yes: it comes from computing the Euler characterstic of posets used to define the Hopf algebra. Actually, the whole renormalisation with Hopf algebras thing that alpheccar points out is reminiscent of a really beautiful paper I read years ago on "fat graphs" that computes the Euler characteristics of the very moduli spaces used in string theory. Of course I showed there was an easier way to compute this earlier. How can Haskell not be the programming language that all mathematicians should learn? Update: I just found some slides on the "fat graph" thing I mentioned above. I rate it as one of the most beautiful pieces of mathematics ever. Some time I'll devote a whole post to it. If you followed Part I then I should now be able to give an accessible lead in to some of the stuff John Baez has been talking about over the years. So far I've illustrated examples of Hadwiger's theorem and showed how Hadwiger's 0-volume corresponds to the Euler characteristic (at least for certain finite unions of bounded shapes). Note how the r-volume has the dimensions of lengthr meaning that the Euler characteristic is the only possible dimensionless quantity that is rotation- and translation-invariant and finitely additive. The Euler characteristic of a finite subset of Rn is simply the cardinality of the subset. And because any kind of notion of cardinality probably ought to have the invariance properties I mention above, it looks like the Euler characteristic might provide a weird alternative to the usual notion of cardinality, despite the fact that it assigns the negative value -1 to the interval (0,1) in R. It certainly behaves a lot like cardinality and it has the additive property that you'd expect cardinality to have. It gets even better, it also have the right multiplicative property. In particular, for the kind of polyhedra objects I talked about in Part I, v0(A×B)=v0(A)v0(A). But that's not all. From now on I'll write the more usual χ instead of v0. If you have two finite sets, A and B, then the set of functions from A to B is written BA (at least if you're not a Haskell programmer). It's also standard stuff that for finite sets #(BA)=#B#A. Amazingly, if you compute the Euler characteristic in the right way, it makes sense to say that χ(BA)=χ(B)χ(A) for many other kinds of set too, despite the fact that χ(A) can now end up taking on negative, rational or even irrational values. χ is simply begging to be interpreted as an alternative way to count things! (or these) which seem to give an Euler characteristic that's consistent with the other things that have been computed, and yet this computation, in itself, is nonsensical. It's clear that not only are we not sure how to answer the questions we can pose about the Euler characteristic, we're not even sure what the right questions are, or even what concepts we should be using. These are exciting times and I'm hoping that a slew of great mathematics should develop out of this over the years. So why does this matter? Have a look at the beginning of these notes by Richard Borcherds. (Aside: I'm completely out of academic social circles these days so it's an utterly amazing coincidence that I bumped into him at a party a few weeks ago and he told me he was into QFT these days.) From the beginning it's dealing with the question of how to compute integrals that diverge. In QFT we compute the probability of something happening by summing over all of the possible ways it could happen. But this space of all possible ways is incredibly large - infinite dimensional in fact. Analysis fails us - as Borcherds points out on page 2, there is no Lebesgue measure on this space meaning we can't hope to perform this summation in the conventional way. Physicists end up having to perform nonsensical calculations just like the one above to get their answers. It seems like physicists are also using the wrong kind of summation. Maybe the Euler characteristic isn't just abstract nonsense but is actually the tool we ned in physics. So here's my take on all this: the reason we use the sum to refer to a concept from analysis is that analysts were the first people to give a rigorous definition of an infinite sum. Maybe if a combinatorialist like Propp had got there first we'd be using a different notion. In particular, physicists all try to compute their sums in an analytic way and get into a mess as a result. The whole field of renormalisation is one horrific kludge to work around the fact that infinities crop up all the way through the work of physicists. Maybe we need to find a new way to count that doesn't throw away our underlying structures and so can give us sensible answers. folded up in a certain way. (The 'certain way' is described here.) 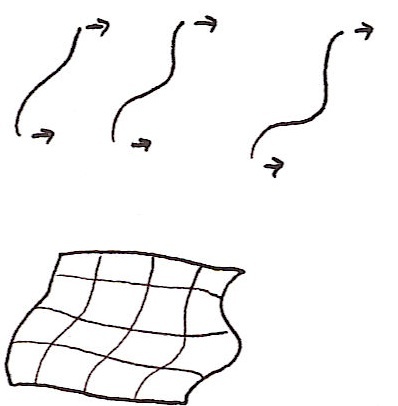 The folded up space is an example of an orbifold. Each point in this space corresponds to one torus so every possible path that a string can take that sweeps out a surface with one 'hole' corresponds to one point in this space. And John Conway et al. have written a nice document on how to compute the Euler number of an orbifold and this one has an Euler characteristic of -1/12. I'll come back to this in a moment. But there's another approach to String Theory. Again, I'm not going to any kind of detail. But part of the calculations require looking at the vibration modes of a string. Just like with a musical instrument you get a fundamental 'note' and higher overtones. When a quantum string string is in its lowest energy state it has some of its energy stored in each mode of vibration. If the lowest mode of vibration has 1 unit of energy, the first overtone has 2, the second has 3 and so on. So when we try to find the total energy of a string in its lowest energy state, part of the computation requires summing 1+2+3+4+…. It's one of these apparently meaningless sums but physicists can use a trick called zeta regularisation to get the result -1/12. It's the same number as above but arrived at in a completely different way. So here's my theory about what's going on. (Unlike other people out there who are crackpots, I have the decency to warn you when I might be grossly misunderstanding other people or even making stuff up. :-) The problem is that physicists keep getting infinities because they have to compute these infinite sums. And they start to calculate these sums by 'creeping up on them', ie. by taking the limit as you compute each of the partial sums. They're trying to use the analyst's definition of summation using deltas and epsilons. Unfortunately, the things physicists are trying to sum over are so large there simply isn't a way to creep up on infinity like this. So instead, I think we have to redefine what we mean by counting and summation. Instead we should be using the Euler characteristic. The -1/12 above is a clue that this is the right track - because when physicists try to use their weird renormalisation tricks to get answers it's not unusual for the result to end up having a mysterious Euler number connection. So it's as if the weird tricks are just a shadow of some deeper kind of mathematics that one day will make sense. But we can't just sum over any old set in this way - there needs to be some other structure that tells us how to compute these sums. In the case of Hadwiger's theorem, if we assume the sums are dimensionless and invariant under rotations and translations then that is enough information to pin down precisely one possible meaning of the sum - the Euler characteristic. What John Baez and co. are doing is trying to find other kinds of structures that are relevant for physical theories and I'm hoping that one day these will lead to a new notions of summation that work for them. I've drifted a bit from my original topic - a chapter in a course from a graphics convention, so I'll stop there. But here's the one paragraph summary of what I'm saying: just as we can count the elements in a set, there is also a notion of counting for other kinds of structure. We don't really have a proper theory of what this means but we do have some partial results that suggest the Euler characteristic is connected somehow. And maybe when we have a proper theory, and literally a new way to count, the problems with infinities that plague any kind of quantum field theory will go away. I recently mentioned this course on Discrete Differential Geometry. One section, whose title I have shamelessly stolen, discusses a curious result known as Hadwiger's theorem. What it doesn't include, however, are explanatory pictures. So read on for a an elementary pictorial introduction to Hadwiger's theorem. v maps finite unions of convex bodies to real numbers. 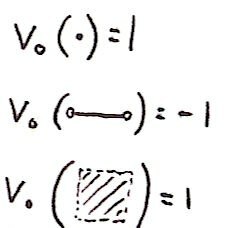 v(A ∪ B) = v(A)+v(B) is A and B are disjoint. v is invariant under rotations and translations. These are fairly general properties so an obvious question is this: can any other function, besides volume, satisfy these properties? Hadwiger's theorem says "yes" and shows that in Rn there are n+1 distinct functions, vr for r = 0,…,n and all others are linear combinations of these generalised volumes. vr corresponds to the usual volume and in general we say that vr computes the r-volume. So what are the r-volumes for dimensions less than n? According to Hadwiger, if R is a closed cuboid of dimensions x1×x2…×xn then its r-volume is the sum of all possible distinct products of r of the xi. For example if n=4 then the 2-volume of the cuboid is given by x1x2+x1x3+x1x4+…+x3x4. The r-volume is simply the product x1x2…xn and the 0-volume is simply 1. But...if you're thinking like I was when I first looked at the article you'll be thinking that this can't make any sense - how can the number 1 represent any kind of generalised volume because it's a constant and hence can't be additive? Hadwiger's theorem is hard to prove. But for now I'll specialise to 2 dimensions and do just enough computation to show that the generalised volumes do make some kind of sense. And I'll show that the 0-volume turns out to be a variation on a well known topological invariant that you may have seen before. One more bit of preparation. Let me use =r to mean equality of r-volumes. Unlike with the usual 2-volume, infinitesimally thin edges do contribute. But this should lead you to worry about another issue: in the above working I handled edges carefully, but not individual points. Rather than go back and work carefully with edges I'll just say that they don't contribute to 1-volume but they do contribute to 0-volume. So I'll now move onto 0-volume with correct handling of points and I'll leave it as an exercise to rework the above showing that it is actually correct. In other words, the 0-volume of a closed shape is #vertices-#edges+#faces. Sound familiar? It's nothing other than the Euler characterstic. If it's not familiar, there are countless great articles on the subject out there. If you hadn't guessed, this is about monads as they appear in pure functional programming languages like Haskell. They are closely related to the monads of category theory, but are not exactly the same because Haskell doesn't enforce the identities satisfied by categorical monads. Writing introductions to monads seems to have developed into an industry. There's a gentle Introduction, a Haskell Programmer's introduction with the advice "Don't Panic", an introduction for the "Working Haskell Programmer" and countless others that introduce monads as everything from a type of functor to a type of space suit. f x  "f was called." We can think of these as 'debuggable' functions. +---+  | "g was called." f (g x) "g was called.f was called." bind must serve two purposes: it must (1) apply f' to the correct part of g' x and (2) concatenate the string returned by g' with the string returned by f'. Given a pair of debuggable functions, f' and g', we can now compose them together to make a new debuggable function bind f' . g'. Write this composition as f'*g'. Even though the output of g' is incompatible with the input of f' we still have a nice easy way to concatenate their operations. And this suggests another question: is there an 'identity' debuggable function. The ordinary identity has these properties: f . id = f and id . f = f. So we're looking for a debuggable function, call it unit, such that unit * f = f * unit = f. Obviously we'd expect it to produce the empty debugging string and otherwise act a bit like the identity. or more simply, lift f = unit . f. The lifted version does much the same as the original function and, quite reasonably, it produces the empty string as a side effect. In summary: the functions, bind and unit, allow us to compose debuggable functions in a straightforward way, and compose ordinary functions with debuggable functions in a natural way. Believe it or not, by carrying out those two exercises you have defined your first monad. At this point it's probably not clear which of the structures we've looked at is the monad itself, or what other monads might look like. But rather than defining monads now I'll get you to do some more easy exercises that will introduce other monads so that you'll see for yourself that there is a common structure deserving of its own name. I'm also pretty confident that most people, faced with the original problem, would eventually have come up with the function bind as a way to glue their debuggable functions together. So I'm sure that you could have invented this monad, even if you didn't realise it was a monad. Consider the the functions sqrt and cbrt that compute the square root and cube root, respectively, of a real number. These are straightforward functions of type Float -> Float (although sqrt will thrown an exception for negative arguments, something we'll ignore). We'll call these 'multivalued' functions. Suppose we want to find the sixth root of a real number. We can just concatenate the cube root and square root functions. In other words we can define sixthroot x = sqrt (cbrt x). Here's a diagram showing how the whole process looks. We only want to write cbrt' once but still have it applied to both sqrt' values. 2 . .     -2 . .
Write an implementation of bind. How do we write the identity function in multivalued form? The identity returns one argument, so a multivalued version should return a list of length one. Call this function unit. Again, define f * g = bind f . g and lift f = unit . f. lift does exactly what you might expect. It turns an ordinary function into a multivalued one in the obvious way. Again, given the original problem, we are led inexorably towards this bind function. If you managed those exercises then you've defined your second monad. You may be beginning to see a pattern develop. 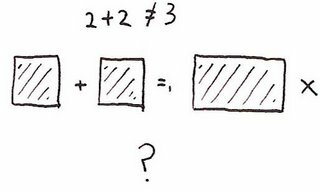 It's curious that these entirely different looking problems have led to similar looking constructions. The idea is that in order to generate a random number you need a seed, and after you've generated the number you need to update the seed to a new value. In a non-pure language the seed can be a global variable so the user doesn't need to deal with it explicitly. But in a pure language the seed needs to be passed in and out explicitly - and that's what the signature of random describes. Note that this is similar to the debugging case above because we are returning extra data by using a pair. But this time we're passing in extra data too. So a function that is conceptually a randomised function a → b can be written as a function a → StdGen -> (b,StdGen) where StdGen is the type of the seed. and should leave the seed unmodified. Yet again, define f * g = bind f . g and lift f = unit . f. lift does exactly what you might expect - it turns an ordinary function into a randomised one that leaves the seed unchanged. It's now time to step back and discern the common structure. Use the variable m to represent Debuggable, Multivalued or Randomised. In each case we are faced with the same problem. We're given a function a -> m b but we need to somehow apply this function to an object of type m a instead of one of type a. In each case we do so by defining a function called bind of type (a → m b) -> (m a → m b) and introducing a kind of identity function unit :: a → m a. In addition, we found that these identities held: f * unit = unit * f = f and lift f * lift g = lift (f.g), where '*' and lift where defined in terms of unit and bind. So now I can reveal what a monad is. The triple of objects (m,unit,bind) is the monad, and to be a monad they must satisfy a bunch of laws such as the ones you've been proving. And I think that in each of the three cases you'd have eventually come up with a function like bind, even if you might not have immediately noticed that all three cases shared a common structure. you'll see that apart from some syntactic fluff they are essentially the definitions you wrote for the exercises above. Debugging used the Writer monad, the multivalued functions used the List monad and the random number generator used the State monad. You could have invented monads! I don't want to spend too long on this (and you can skip this section) because there are plenty of excellent introductions out there. You've already seen how the bind function can provide a nice way to plumb functions together to save you writing quite a bit of ugly code. Haskell goes one step further, you don't even have to explicitly use the bind function, you can ask Haskell to insert it into your code automatically. is just left as the expression. The notation is very suggestive. When we write y <- ... it's as if we can pretend that the expression on the right hand side is just x+1 and that the side-effect just looks after itself. We're able to write what looks like ordinary non-multivalued code and the implicit bind functions that Haskell inserts automatically make it multivalued. Inventing this syntax was a work of genius. Maybe you could have invented it, but I'm sure I wouldn't have. But this is extra stuff is really just syntactic sugar on top of monads. I still claim that you could have invented the underlying monads. There's now one last thing we have to look at before you're fully qualified in monadicity. Interaction with the outside world. Up until now everything I have said might apply to any pure functional language. But now consider lazy pure functional languages. In such a language you have no idea what order things will be evaluated in. So if you have a function to print the message "Input a number" and another function to input the number, you might not be able to guarantee that the message is printed before the input is requested! Go back to the randomised function example. Notice how the random seed gets threaded through your functions so that it can be used each time random is called. There is a kind of ordering going on. Suppose we have x >>= f >>= g. Because g uses the seed returned by f, we know for sure that f will generate its random number before g. This shows that in principle, monads can be used to order computations. Now consider the implementation of random in the compiler. It's typically a C or assembler routine linked into the final Haskell executable. If this routine were modified to perform I/O we could guarantee that the I/O in f was performed before that in g. This is exactly how I/O works in Haskell, we perform all of the I/O in a monad. In this case, a function that conceptually is of type a -> b, but also has a side-effect in the real world, is actually of type a -> IO b. Type IO type is a black box, we don't need to know what's in it. (Maybe it works just like the random example, maybe not.) We just need to know that x >>= f >>= g performs the I/O in f before that in g.
One last thing. Monads were originally developed in the context of category theory. I'll leave the connection for another day. Oh...and I ought to mention...I'm still not convinced that I could have invented Spectral Sequences. But I'm still working on it thanks to Tim Chow. This returns a pair consisting of n+random digit and the new seed. Note how it also takes that extra seed as argument. One could argue that 'conceptually' this function is addDigit n = let a = random in n + a `mod` 10 and in a suitable strict and impure language that might be considered valid code. Note that I've chosen not to use the Monad type class so that nothing is hidden from you and everything is explicit. Update: Thanks for the comments. I've now made lots of fixes and added an appendix with a random number example. Most of the code fragments have now been copied back from the final text into real code so there should only be a small number of typos left. Apologies for any confusion caused! For a slightly different take on monads I've written a little on Kleisli arrows. And if you're interesting in layering monads to achieve more functionality you can try this. I only attend one conference a year, SIGGRAPH, the annual graphics convention. 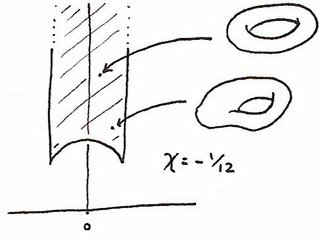 In many graphics applications (including physical simulation) we have to use calculus on manifolds. 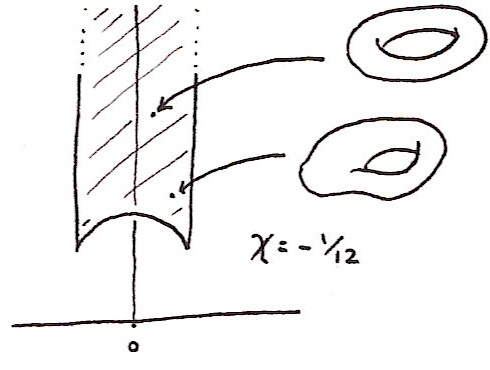 For example when solving the Navier-Stokes equations for fluid dynamics or for smoothing the surfaces of 3D models. 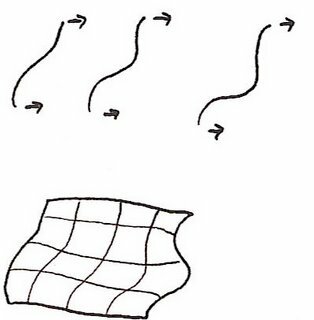 Unfortunately, in graphics we tend to work with triangulations of surfaces and use discrete approximations to derivatives. As a result, we can only use our usual theorems of calculus to make approximate statements about these triangulations (usually based on some form of finite differencing). The DDG approach appears to be an alternative well principled approach to these derivatives. Although they still only form approximations to the continuum limit, discrete analogues of the usual theorems of calculus hold exactly. For example it is possible to define discrete versions of differential forms and the exterior derivative leading to a discrete version of de Rham cohomology. One place where DDG appears to perform well is in fluid dynamics. In the graphics world we don't care about how accurate these simulations are. What we need is for simulations to be stable and be plausible. Often standard approximation methods lead to effects like mass loss and vorticity disspipation. These quantities are often salient to the eye. The effect may be small but over a period of time the problems can accumulate and it can soon become apparent that simulation has errors. What's cool about DDG is that discrete analogues of the usual conservation equations are provable. As a result, even though the simulation is an approximation to the continuum, the discrete analogues of the conserved quantities remain good approximations to the continuum values. Even though the simulation may end up being inaccurate, it remains looking good. The other good thing about SIGGRAPH is the publishers selling heavily discounted books. (Bonus discounts if you've published a paper with them.) Among other books I picked up paper copies of Generatingfunctionology, Synthetic Differential Geometry (both available in electronic form, but I like paper), Knuth's History of Combinatorial Generation (I was aware of Abulafia's interest in combinatorics (though with Madonna's recent interest in Jewish Mysticism I ought to distance myself from that) but not the many other developments from other cultures) and this book which almost brought tears of nostalgia to my eyes. By the way, I have two free days in the Boston area. Anyone have any suggestions for what to do here? I'm already planning to (re)visit the MIT museum and some of the art galleries. Any other suggestions?